defense 'should' get better but this team's problem is offense. it was the problem last yr. in gm 7 and it was the problem every yr. we made the playoffs under stevens - we've been eliminated because we go on a stretch of taking jump shots... to the point we're passing up what should be sure 2's at the basket. and it's what will get us eliminated in the playoffs this yr.
ball movement isn't just passing the ball all over the joint, there's no point in passing the ball if bodies aren't moving. also this team is so eerily similar to that trash team of KO, Bradley and IT that teams are playing us the same way, they're playing us the same way - wait for the pass when we drive because they know we aren't going drive all the way to the basket. now cue the "it's early" replies. but for all of you ready to waste everyone's time with those replies, do me a favor and bring this post back up at the end of the season. Curious to know anything, literally ANYTHING that indicates that our defense was unusually poor. Not in the game I watched. The Magic shot 40% from 2 and 28% from 3 and went to the line 10 times the whole game and were out-rbounded by 2. I don't think it was the defence as a whole that was weak. Rather individual defenders. Tatum and Brown were soundly beaten by Isaac, Gordon and Fournier, and Al was crushed by Vucevic. Our team defence was solid. My theory on watching bits and pieces of games is that Hayward and Irving aren't yet 100% in conditioning, and starting them together may be a mistake. The other thing I don't like--what a lot of teams are doing--is bombing threes continuously, everybody standing on the perimeter. If you're shooting 20-30%, you're not getting a 2nd shot. Tough to win if you're not getting easy baskets. And you get those by the fast break and transition game--bread and butter for old Celtics teams. Like we learned in the game 7 finals, you live by the 3, you die by the 3. And oh yeah, the defense. Where has it gone? Isaac looked like an all star tonite. Isaac? agreed. this loss is not about the def. we held them to 93 points...even after we got down 8 or so near the end of the game, we still got enough stops to have a shot to tie it. if JT hits (1) 3 pointer, and Al doesn't take one of those 3s and he drives for a tough layup we win. It wouldn't have taken much more offense to win this game. We look out of sync on OFF, we took way too many quick 3 point shots. I hate to say it but all of the starters looked like they had a bit of a case of the yips tonight. Once the shooting woes started, no one wanted to take shots. Sometimes we overpassed when we had penetration options. if JT hits (1) 3 pointer, and Al doesn't take one of those 3s and he drives for a tough layup we win. It wouldn't have taken much more offense to win this game. We look out of sync on OFF, and I hate to say it but all of the starters looks like they had a bit of a case of the yips tonight. no one wanted to take shots. Sometimes we overpassed when we had penetration options. It looked like they were playing hot potato on a lot of possessions. Theis and Williams should have played more. Horford works at center sometimes, but not always. Ya I dont get this thread. Numbers wise we have had a VERY good defense this year. We just held a team to 93 points. Defense isnt an issue, and o expect it to continue to improve. It is indeed early, and I'm trying to give these guys some time to adjust and gel, but I also think the bad shooting is not simply a result of being early in the season—it seems that no matter who the Celtics have, they're never a great shooting team. Certain players do well, but as a team, they seem to almost always struggle with consistently shooting well from outside. 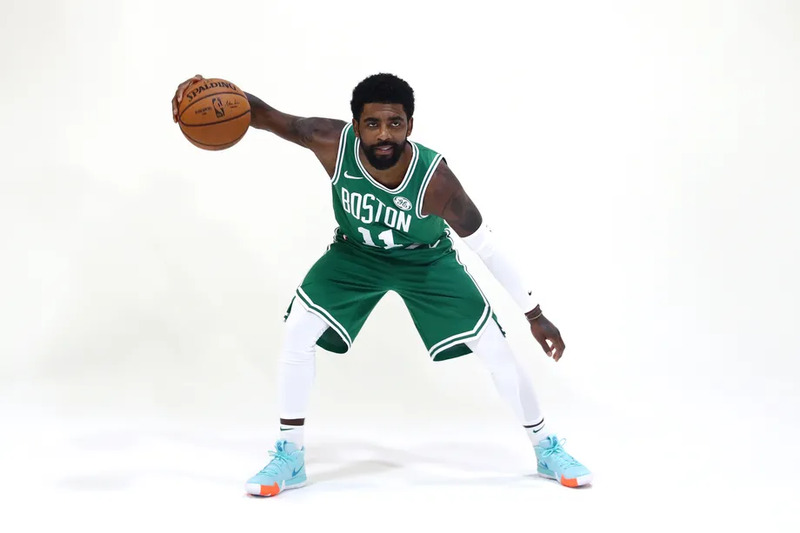 Sometimes I think the Celtics could trot 5 HOF shooters out onto the court and they'd struggle simply because they're wearing Celtics uniforms. Baynes deserves to be on an All-Defensive team with the way he impacts the game on the defensive end. I’m not sure I’d call a team that’s second in the league in DRtg “soft as butter” defensively. The fact that we have been the second worst offensive team is way more concerning. I am not overly worried, as our two returning stars are still finding their legs and looking more and more comfortable. The rest of the guys have been missing very good looks. If this was January where they went 2-2, few would overreact. But because this is the start of the season, everyone goes into panic mode. We’ll be fine. The defense is good (seriously, look at the scoring that’s going on around the league. Giving up 113 to a hot-shooting Toronto on the road isn’t that embarrassing), and we are too talented offensively for this to last very long. I know it's too early for any conclusions, but I'm just not happy to see same problem for years in our team. As a contender now, I just don't want us to find any space for these kind of games where there are no hot hands at all. Of all scorers that we have, we barely scored 90, at home, vs Magic. I know defense is or forte, at least should be, but to challenge best teams, you gotta take these bad-shooting games down to a minimum. We are not 2015-2017 Celtics any more. This is C'ship-calibar team, or at least NBA-finals team. Bad shooting can't find excuses for these Celtics, we just have waaay too many players that can shoot. hmm? wonder what the common denominator is?? ?